In collaboration with some interns, we offer a curious and interesting data, updated to the 17 January: the ranking of the news disseminated by the individual companies on their respective websites. This is a meticulous, genuine and precise work done after having visited and posted the articles published on the websites of the Serie A companies. 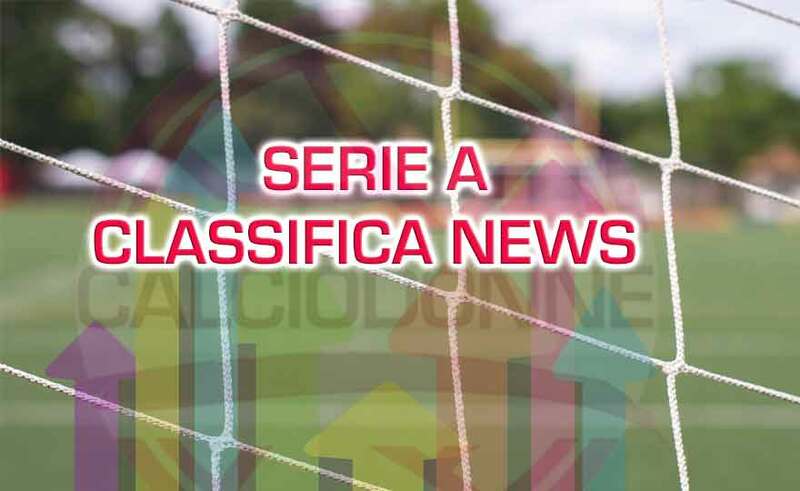 Hellas Verona stands out with 320 news, which maintains the lederships of the past as a leading company in information, ahead of Sassuolo with 126 news and Fiorentina with 104. Atalanta Mozzanica leads the group of pursuers with Pink Bari bringing up the rear with 0 news published. The Bari company does not have a news section on its website. The ranking highlights the excellent media commitment carried out by professional clubs and, at the same time, stands out the little information given by the big clubs like Juventus, Roma and Milan which, moreover, have closed, for different reasons, to collaborations with our magazine. Juventus, rightly, wants to interact with publicist journalists, but also in this case (Maurizio Stabile) must be willing to present themselves in their offices, while last year they appreciated our work and called us to retire for interviews. Still to deepen the relationship with Rome and Milan while the neighbor Fiorentina continues to not respond to our attempts to create a direct line even if President Mencucci made himself available by telephone. Different relationships with i "Top News Club"in the lead of the ranking, always open and available to mutual collaborations and that show to really care about the diffusion of their media activities. Stupefatti but always positive that these great clubs review their positions and open again to the collaboration with calciodonne.it and to our young aspiring publicists, always ready to do a work worthy of the best pens, submit the ranking to your considerations waiting to elect the top "news" club 2018-2019.